Eat a balanced diet that includes good levels of B-12 and D vitamins, as well as healthy fats. Did you know that your brain takes about twenty percent of our daily energy intake? That means the food choices we make have a profound effect on the way our brain functions. Certain foods such as leafy greens, cruciferous veggies, avocados, and berries have all been linked to brain health. Certain foods can help in calming and healing the nervous system. These include fish, which are high in omega-3 fatty acids, green leafy vegetables and sea vegetables. Make it a goal to get 7 to 8 hours of sleep each night and maintain a solid sleep schedule. Sleep helps strengthen circuits within the nervous system which can help with memory. It’s during sleep that our body and mind regenerates itself, making it critical that you receive an adequate amount nightly if you want to stay mentally sharp. Stimulate your brain with activities like writing by hand or playing mind games like chess or Sudoko. Work out. Take part in exercise that is appropriate for your body; aim to exercise at least three times a week. A study conducted at the University of Texas in Dallas found that working out as part of an exercise regimen helps aging adults to improve their memory and brain health. The study found that exercisers showed an increase in blood flow to the hippocampus, the region of the brain most directly affected by Alzheimer’s disease. If you don’t enjoy going to the gym, find a creative way or a partner that can motivate you to exercise regularly. Maintain a healthy weight. Obesity is linked to degenerative arthritis, diabetes and diabetic neuropathy. Avoid exposure to toxic chemicals, chronic stress and activities involving repetitive motion. The nervous system handles the stress response, which, if overworked, can eventually lead to diseases ranging from high blood pressure to diabetes. Get your spine adjusted by a chiropractor on a regular basis. Your nervous system deserves as much attention as other more obvious bodily systems. By participating in healthy habits now, you can help treat or prevent future instances of nerve damage, or deterioration. 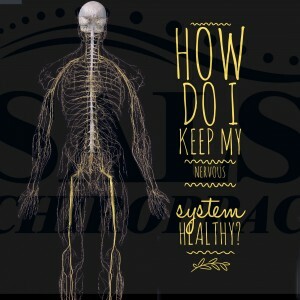 Chiropractic care helps keep the nervous system in top performing order. When your spine is not in appropriate alignment, the messages that are carried through the spine are interrupted and delivered slower. This results in a lack of optimal health. Hundreds of our patients enjoy the benefits of regular chiropractic care. Why shouldn’t you? Contacting our office and scheduling a consultation is the first step to making health and wellness a priority.